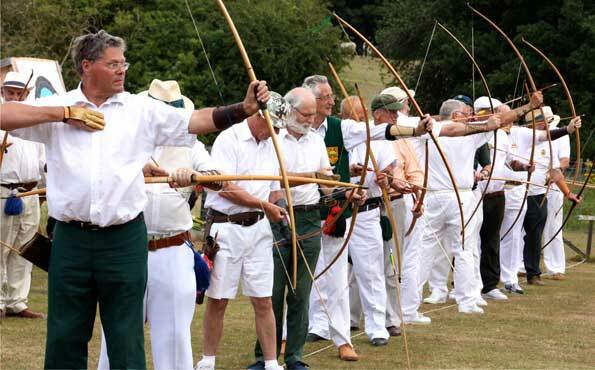 Keen competition for the Mens Prizes at Longbow Day at Burnham. 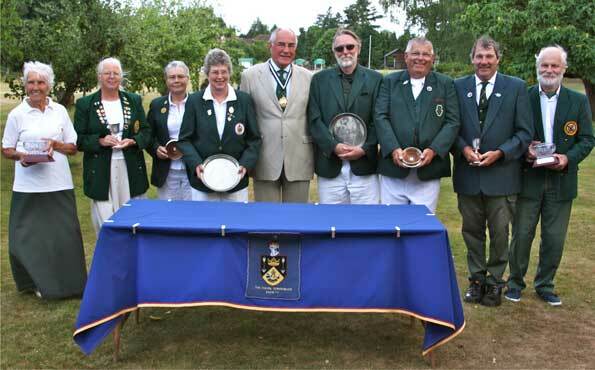 There was a party of fourteen Bowyers at Burnham for the Annual Longbow Day on Sunday 28th July, when in very blustery conditions the ladies and gentlemen had a splendid day competing for the Salvers, Coasters, Cups and Rose Bowl trophies. 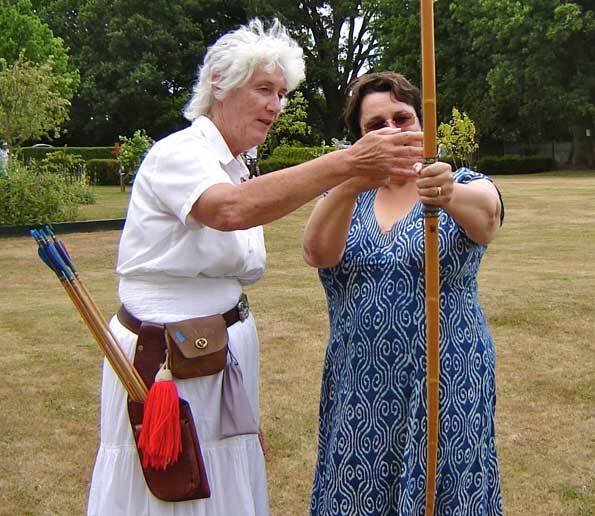 Away from the archery those present had the privilege of visiting the museum of the Society of Archer-Antiquities at Archers Lodge to see the magnificent display of bows and arrows from around the world before the Master presented the awards to the winners on the day. 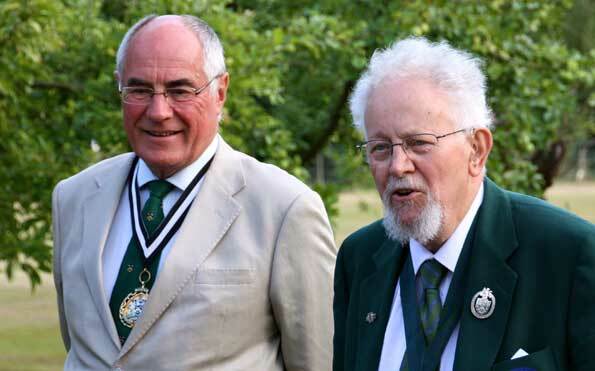 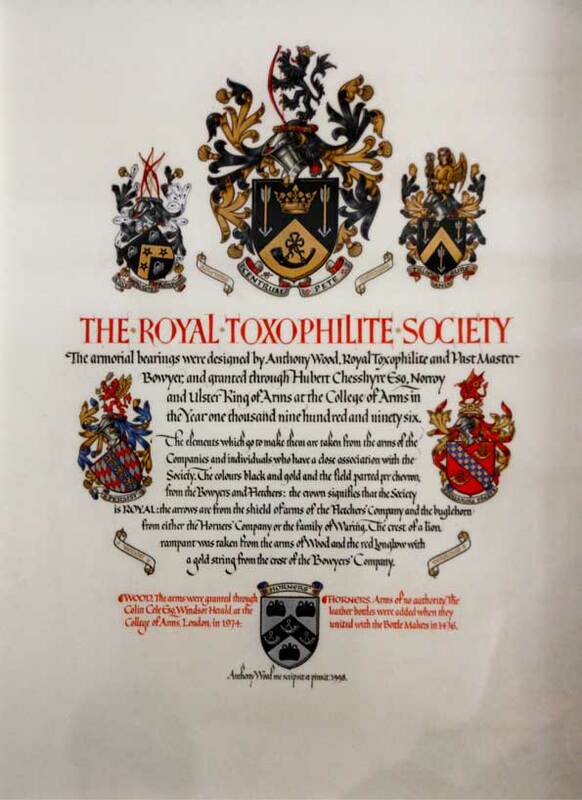 This was followed by the presentation of awards by the Master in the presence of the President of the Royal Toxopholite Society, Mr. Ray Gallop, and the Field Captain for the day Mr. Freddie Fairfield.